Swimming can be a wonderful, low impact exercise for your dog as well as lots of fun! By following a few precautions, swimming can be a safe and fun activity for your pet. According to Dr. Marty Becker, the dogs that are mostly likely to be unable to swim are dogs with “large, heavy chests in relation to their hindquarters, and they often have short muzzles.” Bulldogs, in particular, “sink like rocks.” Among the dogs that swim naturally are water Spaniels, Setters, Retrievers, Akitas, Poodles and Newfoundlands. But even among breeds like Labrador Retrievers, who are known for being good swimmers, not every dog enjoys the water or will attempt to swim, says Dr. Becker: “Dogs will naturally start “dog paddling” when they find themselves in water, but that doesn’t mean that they can stay afloat for any length of time, that they like being in the water, or that they can safely swim. Behaviorist Clarissa Fallis suggests,” If your dog is not naturally interested in the water and shows some hesitance, then some training will be involved for him to get acquainted with the water. Do not simply throw your dog in the water and hope his natural instincts take over — this is extremely dangerous.” According to Dr. Kelly from The Pet Doctor you should “Approach it gradually just like with a small child. Let them get used to feeling the water. You may even want to support their weight while they get used to swimming. Give your dog lots of praise as he’s learning to swim. 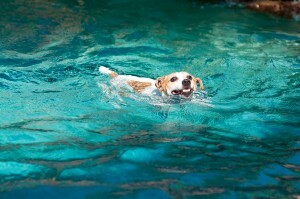 Limit swimming time and distance until your dog gets used to it and builds endurance. Make sure your dog knows how to get out ofthe water. Never leave your dog in the water unattended. Some recommend your dog wear a life vest even if he is a good swimmer. This is advisable, especially in lakes and ponds where the terrain is less predictable. Ensure the water is safe Make sure your pet has an accessible exit such as a ramp or steps if in a pool. 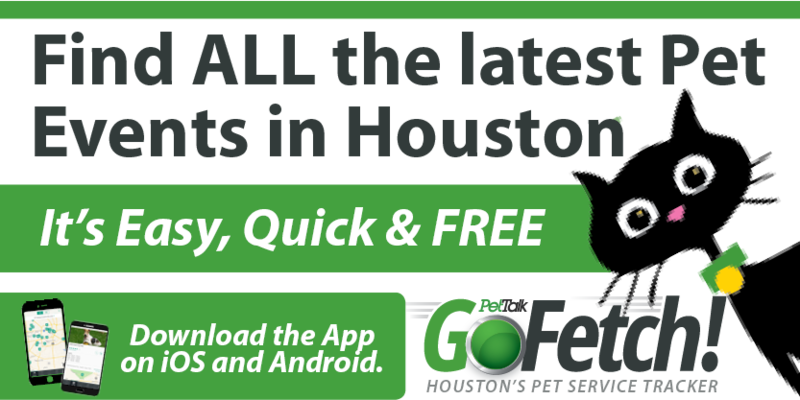 Evaluate lake or pond water for algae that can be toxic to pets if ingested. Remove flea/tick collar: Wet flea collars can irritate skin. Also, if you recently applied a topical flea/tick preventative, your pet should wait a couple of days before swimming. Chlorine, salt water, and blue-green algae all pose risks to pets if ingested. If your pet can’t stop drinking the water, it may be necessary to keep them OUT of the water. Bathe dog after the swim. Your dog needs a good rinse after swimming whether it’s been in a pool or natural body of water. Chlorine is drying to their skin and lake water is less-than-clean. A thorough rinsing from the hose is sufficient but shampoo may be desired to keep your dog fresh smelling. Conjunctivitis, ear infections, tonsillitis and nasal infections are possible sequelae following a swim. Much depends on the quality of the water. We recommend flushing the ears with a 50:50 mixture of witch hazel and white vinegar to aid in evaporating moisture and killing yeast. Over the counter eye wash can be used to rinse your dogs eyes. Stagnant water, whether it is at a dog park pond or a country lake, can harbor some nasty “bugs”. Some must be ingested to be harmful, while others can merely penetrate the skin. It is best to avoid these water features.